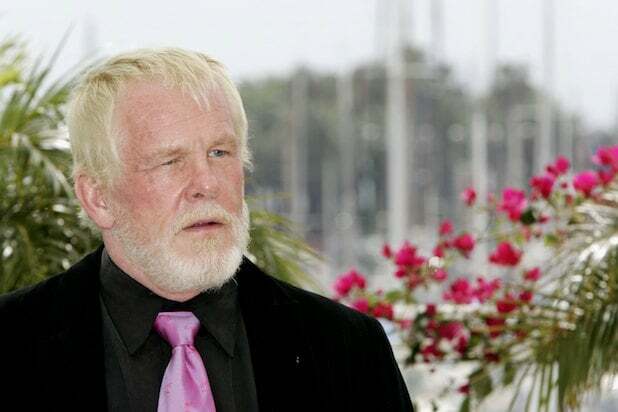 Nick Nolte won’t be voting for Hillary Clinton or Donald Trump come November. The actor — who plays an ex-president seized by guilt for his political acts in the new Epix series “Graves” — hasn’t voted in the last 14 presidential elections, because he can’t. He’s a felon, he explained to TheWrap at a Television Critics Association event on Saturday. “I can’t vote because in the ’60s I was charged with seven counts of selling counterfeit government documents, which consisted of draft cards, blank draft cards,” he said. Nolte has met Trump before — the two had an argument over their respective hairstyles one time in Central Park, and each argued that his own hair was more attractive. But Nolte doesn’t seem to be a big fan of the Democratic nominee either. The issue that matters to him, he said, is the lack of support for children. For the record, Nolte said he has been married six times (we could only find four marriages in imdb.com and Wikipedia, but the man ought to know) and has two children. Nolte’s new show, “Graves,” will debut this fall. Hillary Clinton has spent the last week criticizing Donald Trump, and we asked experts which of her attack lines might land with voters. 5. "So let's take a look at what he has done. He's written a lot of books about business -- they all seem to end at Chapter 11," Clinton said in a speech Monday, drawing huge applause from her supporters. Politico national politics reporter Eli Stokols told TheWrap that this is a crafty approach, but it could get old. “It’s the kind of line that is good the first time because it has a ring to it, it’s kind of clever and she’s sort of saying something with a wink and a nod,” Stokols Said. “She’s going to make to is to redefine him not as a private entrepreneurial success, but as more of a poster child for some of the bad business excesses. It’s a really interesting strategy,” University of Southern California clinical professor of communications Gordon Stables told TheWrap. 4. “Just like he shouldn’t have his finger on the button, he shouldn’t have his hands on our economy,” Clinton said referring to Trump’s foreign policy ideas and his economic proposals. “It’s about his character… she obviously wanted to highlight that there is something about his disposition or his temperament that basically says, ‘he doesn’t have the patience or wisdom or character to occupy the kind of crisis in the White House,’” Stables said. 3. “I had my researchers and my speech writers send me information” on Trump “and then I’d say, ‘Really? He really said that?’ And they’d send me all the background and the video clip,” Clinton said. Stables feels that she could be looking to reach Bernie Sanders supporters that still feel frustrated. “There are voters with a different economic critique… there is something they don’t like with the way Trump did business and she’s going directly at it,” he said. 1. "The Chamber of Commerce and labor unions, Mitt Romney and Elizabeth Warren, economists on the right and the left and the center, all agree: Trump would throw us back into recession," Clinton said. “Clinton is defining the campaign on her terms… she’s positioning herself to make the argument she’s going to make in November. Trump is still fighting to define and differentiate what to say. He ran a very smart campaign to defeat the other Republican primary competitors,” Stables said. 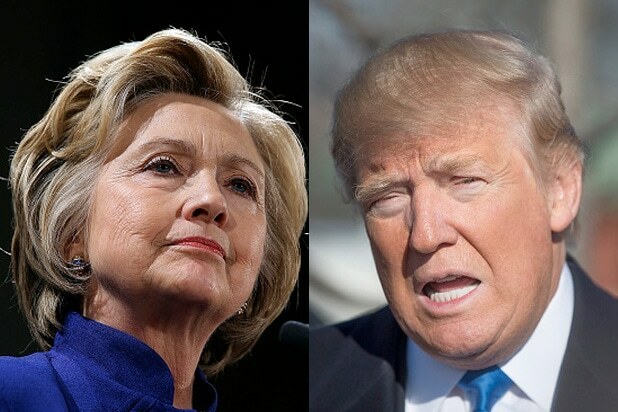 If you enjoyed this, check out Donald Trump’s 5 best Hillary Clinton attack lines.